As promised, Ucchy-san has revealed the next character to get the D-Arts treatment. And it turns out it's Black Zero. To be honest... just a little underwhelming. And while Black Zero did rank 10th in the latest character survey, it was also revealed at San Diego Comic Con last year. This was pretty much a guaranteed product already. But ah well, it's still undeniably cool. 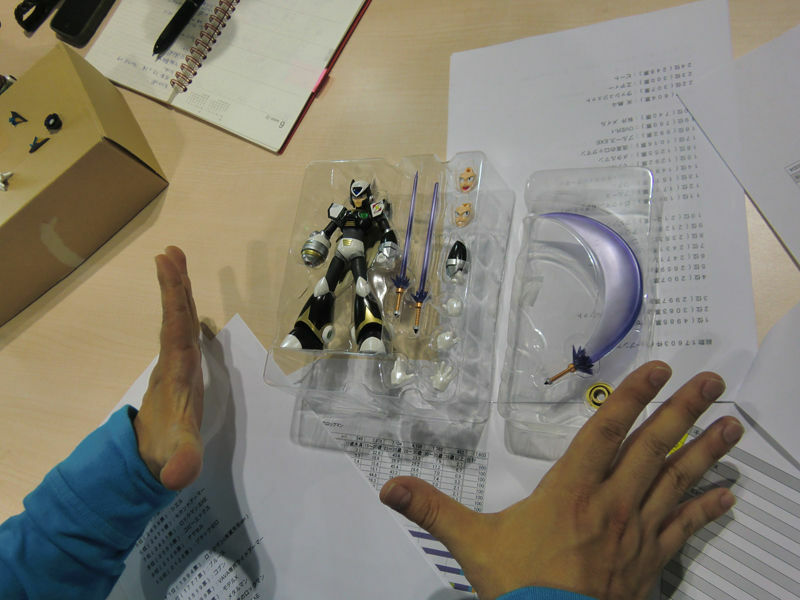 Black Zero appears to come with the same accessories and such that the regular Zero Type 2 figure included, but now with purple colored Z-Sabers. In Japan, Black Zero will be a Premium Bandai exclusive figure (meaning no retail sales), and will go on pre-order this Friday, the 5th. Nevertheless, it will likely be sold regularly in North America. We'll keep an ear towards Bluefin for those details.